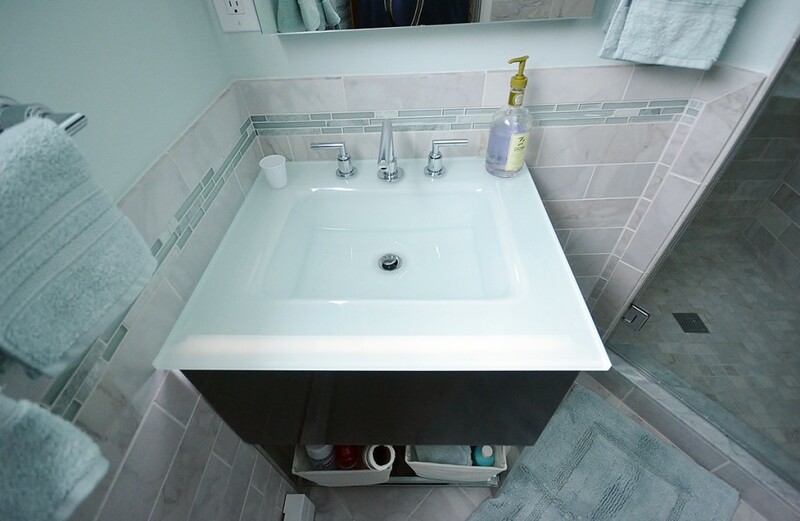 Gorgeous bathrooms remodels in Paoli, PA. Chester County Kitchen & Bath installed clients pre-selected cabinetry, accessories and countertops from partner, Ferguson Plumbing. 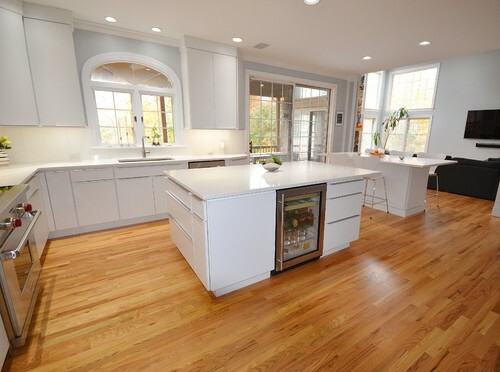 Countertop is a blue pearl granite offsetting clean white cabinetry. 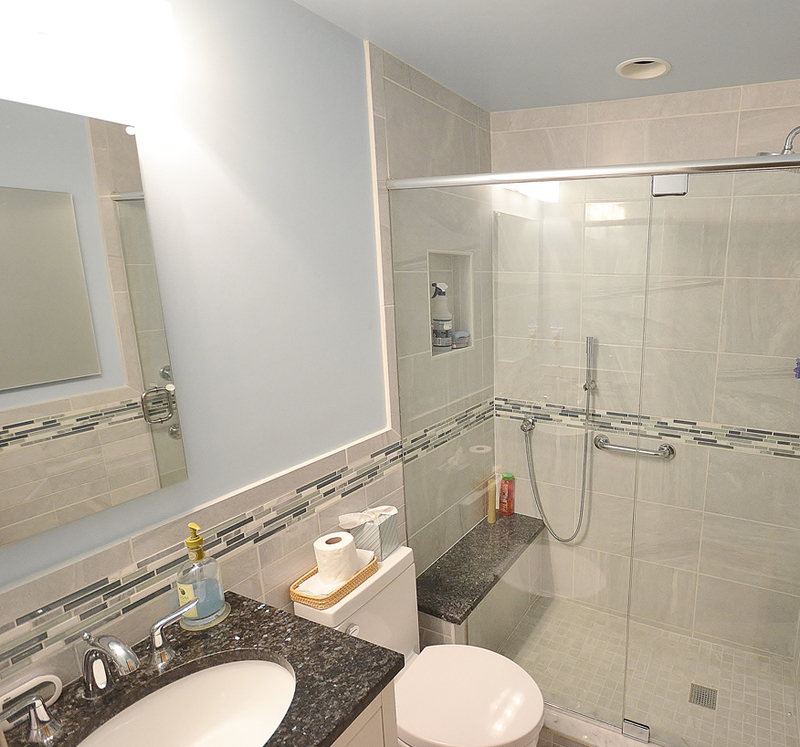 Chester County Kitchen and Bath installed gorgeous glass framed shower with mosaic tile and 4 ft high wainscoat. 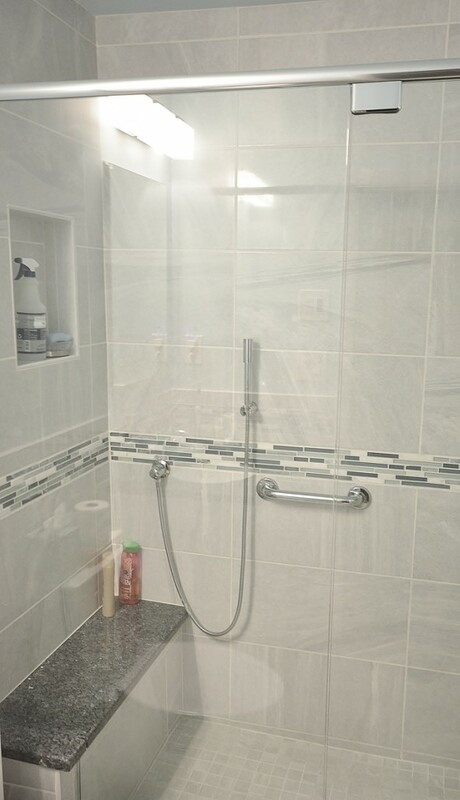 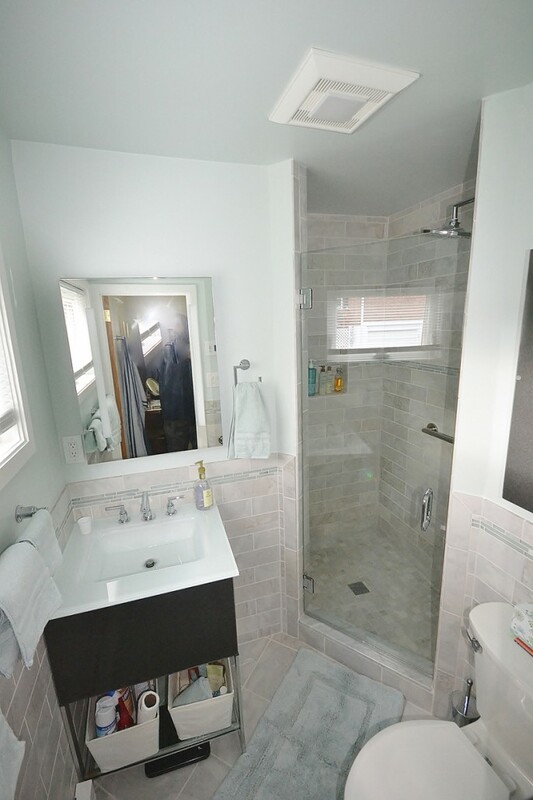 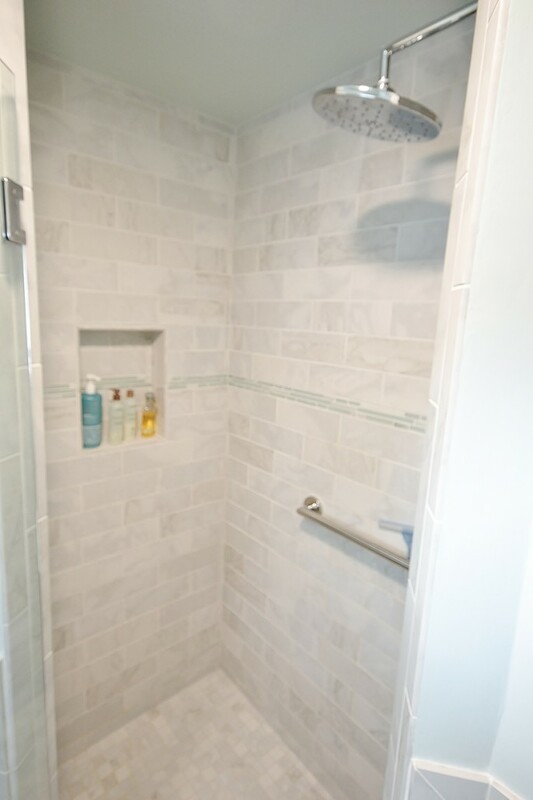 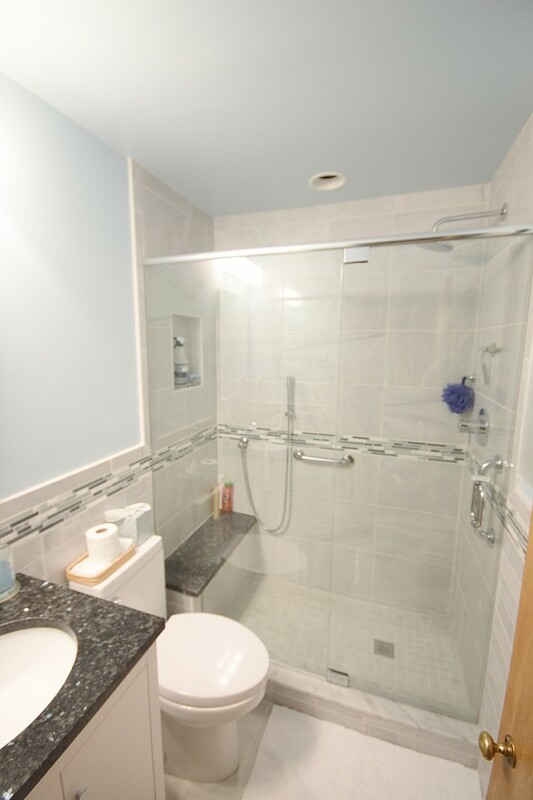 Floor radiant heat, shower seats and niches gave this client an enjoyable shower experience!